Their finances started to skid with a job loss in 2009. Despite mistakes along the way, they climbed out of high-interest debt and are now on solid footing. Sally and Adam Cleary have a good life now. They own a home in Boise, Idaho, and enjoy outdoor adventures with their kayaks and mountain bikes — fully paid for, Sally notes. But the Clearys weren’t always on their financial feet. A recession led to a job loss for Adam in 2009 and drastically reduced hours for Sally. Panicking, the couple decided to withdraw money from retirement accounts to pay their bills, thinking it was the “honorable” thing to do. They also relied heavily on credit cards to help make ends meet. When they could no longer make their mortgage payment, they moved into the windowless basement of Adam’s mother’s house in Colorado Springs, Colorado. Sally and Adam found stable jobs, but still had over $11,000 in credit card debt, plus student loan debt and ongoing medical expenses. They lost their home in Boise to foreclosure. The worst thing? They had to give up their Labrador retrievers, Tater and O’Malley, because they wouldn’t have a yard. That was heart-rending. Looking for help, they turned to a credit counseling agency and enrolled in a debt management plan, which resulted in lower interest and a single monthly payment. They paid much more per month than they had before, when they made credit card minimum payments, and were debt-free much sooner. 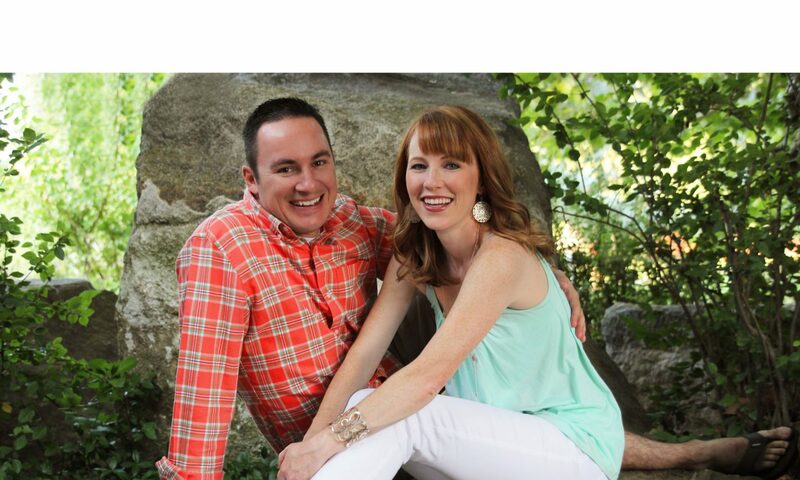 On a combined $75,000 income, they paid off their credit card debt in May 2014. Like, when we moved in with Adam’s mom, we bought new carpet. When you’re that broke, you don’t need to be buying new carpet. You deal with what’s there. We went to a credit counselor in October 2011. She said, “We can help you with this, but you can’t use any credit. And, in fact, your payment’s going to go up. Are you prepared for that?” I remember thinking if we decide to do this, we have to be all in; this is going to be hard. But we didn’t want to be paying off that debt for 10 years. Sally: We sold almost everything we could think of: photography equipment, firearms — even a baseball signed by Babe Ruth and Lou Gehrig that Adam’s grandfather gave him. Adam: Credit cards were closed with the debt management plan, so “floating” where you spend $100 on groceries and figure you’ll pay it later was not an option. That was what really forced the behavior to change. If you have $16.85 left for groceries, you look for ways to spend that much, not more. Sally: There was a Starbucks near the jewelry store, and I made $9 an hour. I remember thinking when my co-workers asked me to go with them that if I go there, that’s at least a half-hour’s worth of work. Adam: I had to think about things I don’t normally think about, like gasoline. If we go here or there, what’s the most efficient route, or can we carpool? We just did not have options. We were constricted. Sally: Some of it was about getting humble. I came home from the jewelry store with my feet hurting and had no money for shoes. ... There is no way we could have gotten through our tough times without the unconditional love and generosity of Adam's mom, Anita. Adam: We are a lot more appreciative of what we have now. There is a big sigh of relief and appreciation of normalcy. We have choices again. There’s an enormous sense of freedom even if we don’t act on it. We also volunteer. We’ve volunteered at the Idaho food bank and women’s and children’s clinics. We try and make it not all about us. Breathe. Once you realize you are in over your head, take a moment to educate yourself before you start making decisions. Create a budget. Though the Clearys don’t live on a tight budget now, they do have one, and they tweak it regularly. Save up an emergency fund. Knowing that you have enough money to stay afloat can help you avoid panicking and making rash decisions. Know what your goals are. The Clearys wanted to get rid of their high-interest credit card debt and weren't as troubled by their secured loans (those backed by collateral, such as a mortgage) and student loans. Consider whether your goals are realistic. If dischargeable debts — ones that can be erased in bankruptcy — are more than 40% of your income, or the debt seems impossible to pay in less than five years, it might be smart to see a bankruptcy attorney. Be willing to sacrifice. The money to pay off debt has to come from somewhere, and when money is scarce, thrift and creativity need to be abundant.